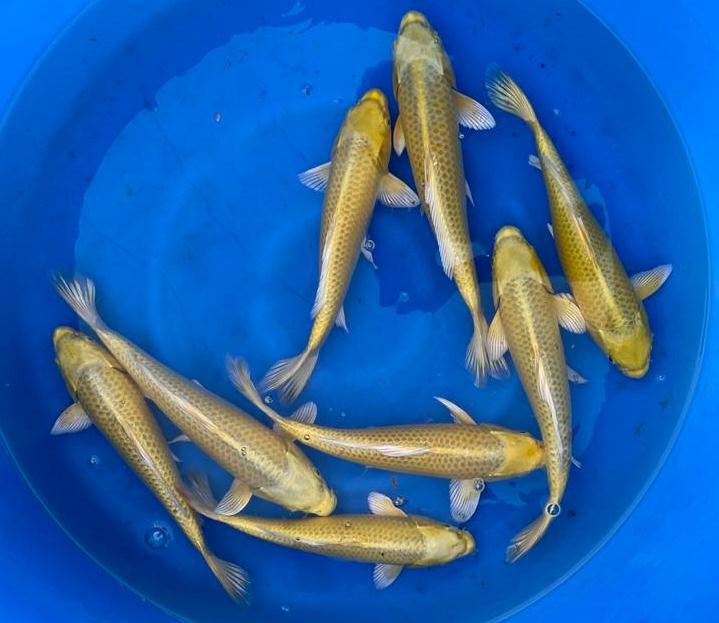 Koi Carp, High Grade Japanese Koi Carp under £100 from Koi Water Garden Ltd.
Pond heating, heat pumps, heat exchangers etc. Pond plumbing, valves, fittings, pipe work, etc. 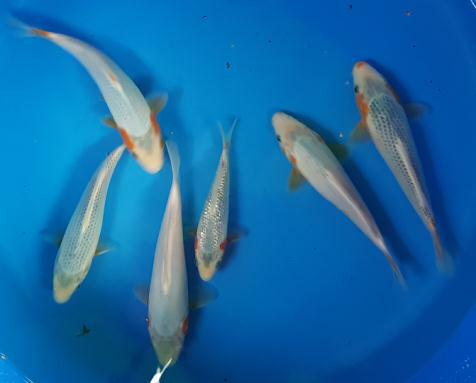 Koi Carp from Koi Water Garden Ltd.
We offer high grade Japanese Koi Carp only. 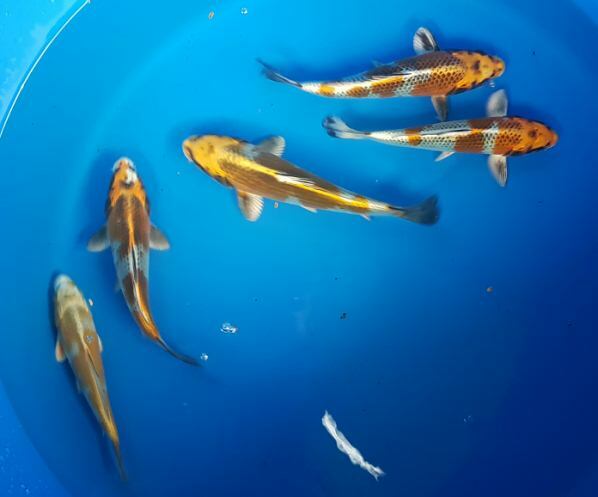 Check out our koi stocks page here for details on great Koi costing less than £100. 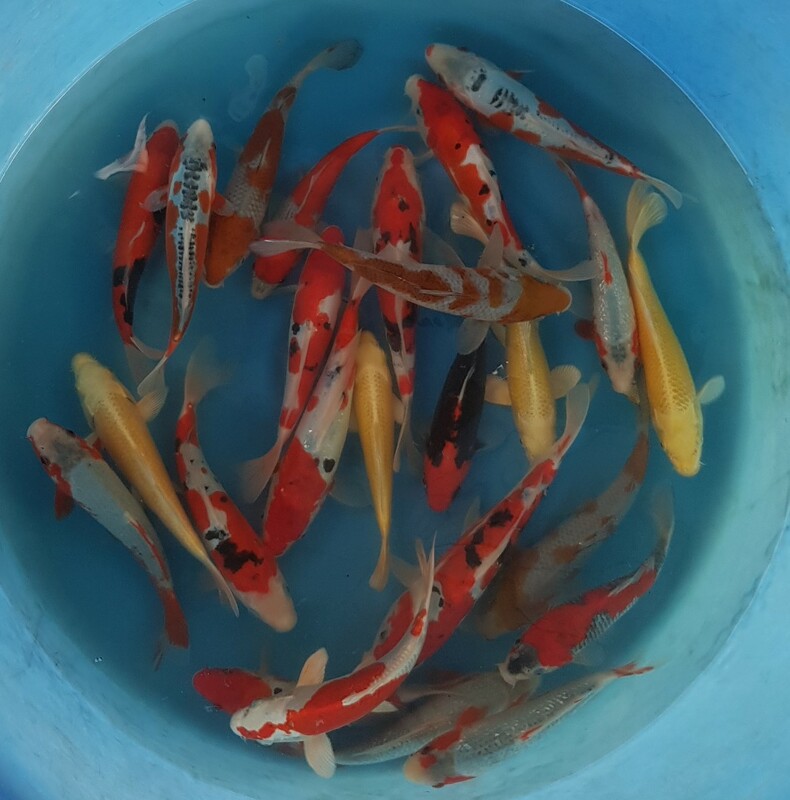 All our koi are hand picked by us in Japan and we do not purchase on consolidation or from wholesalers. 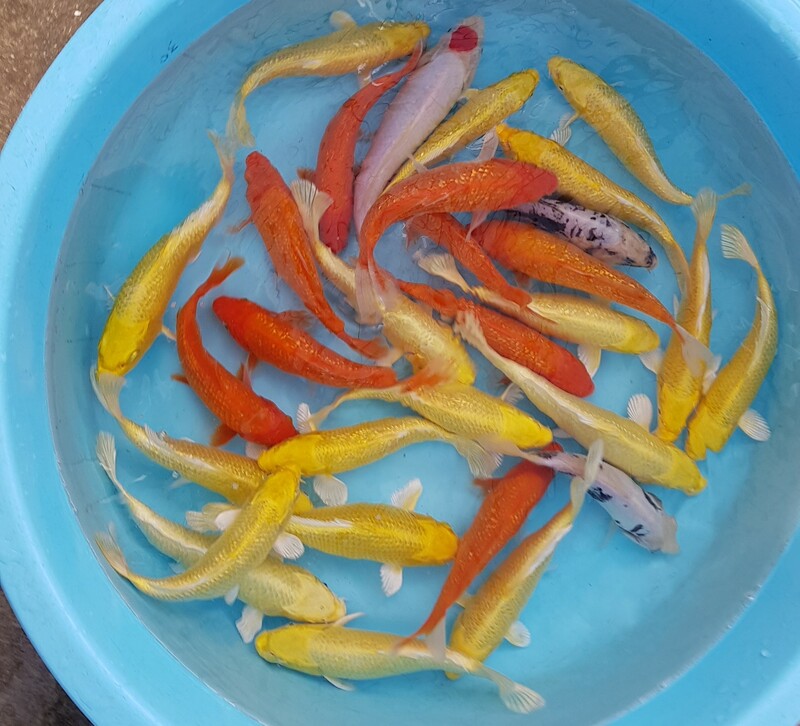 Click here for more details of stocks from our latest trips. 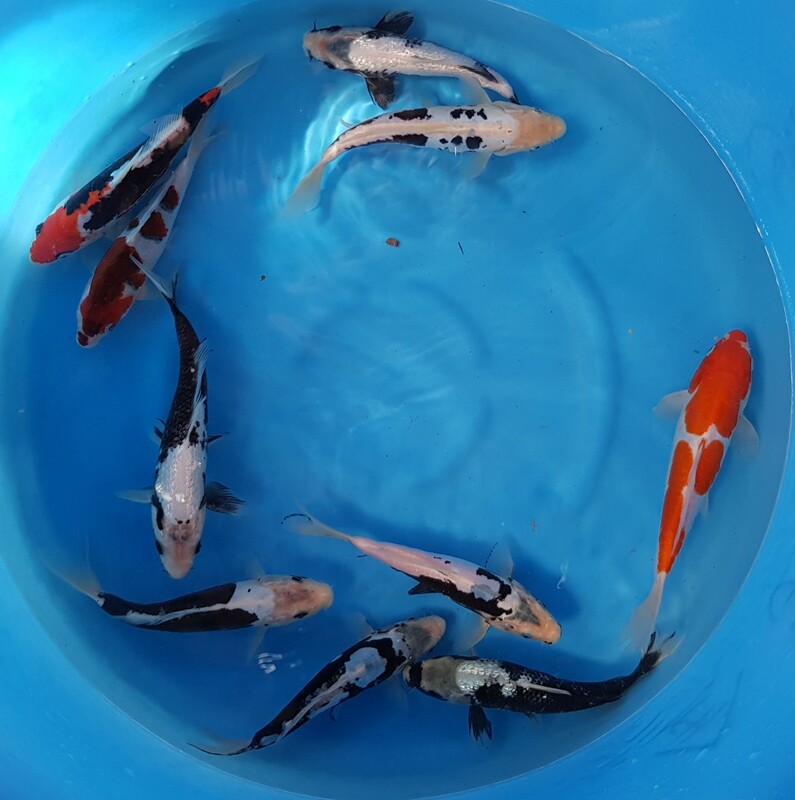 To View the videos of all the Koi purchased on our latest trip simply click on the link! Shop online with confidence via our secure on-line shop. Review your Shopping Cart - click below. Small Nisai Kin Ki Utsuri. Small Nisai Gin Rin Hi Utsuri. Small Nisai Gin Rin Shiro Utsuri. Small Nisai Gin Rin Soragoi. 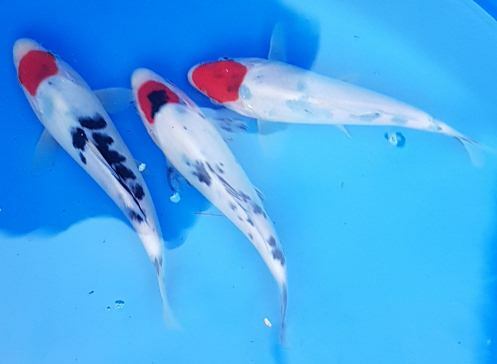 Discounts are available on any mix of these Koi in the following quantities. Box of 10 to 19 - 10% discount. Box of 20 to 29 - 15% discount. Box of 30 to 49 - 20% discount. 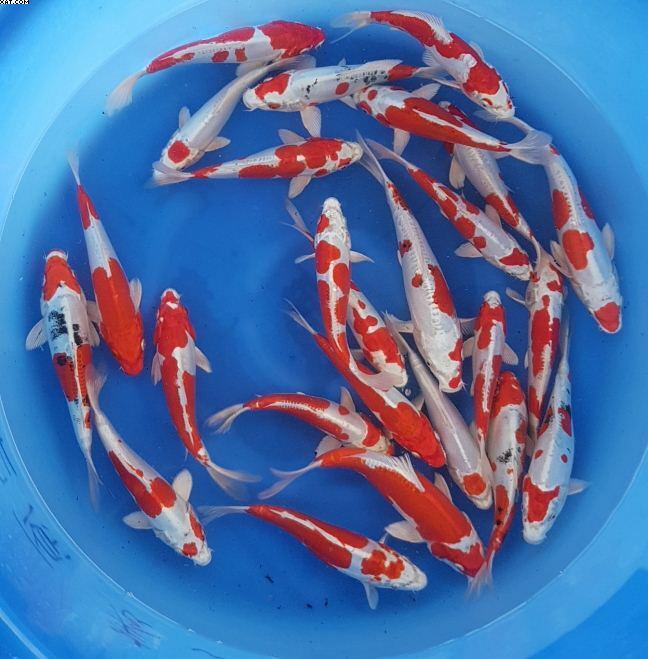 Multiple Boxes (50 or more Koi) - 25% Discount . 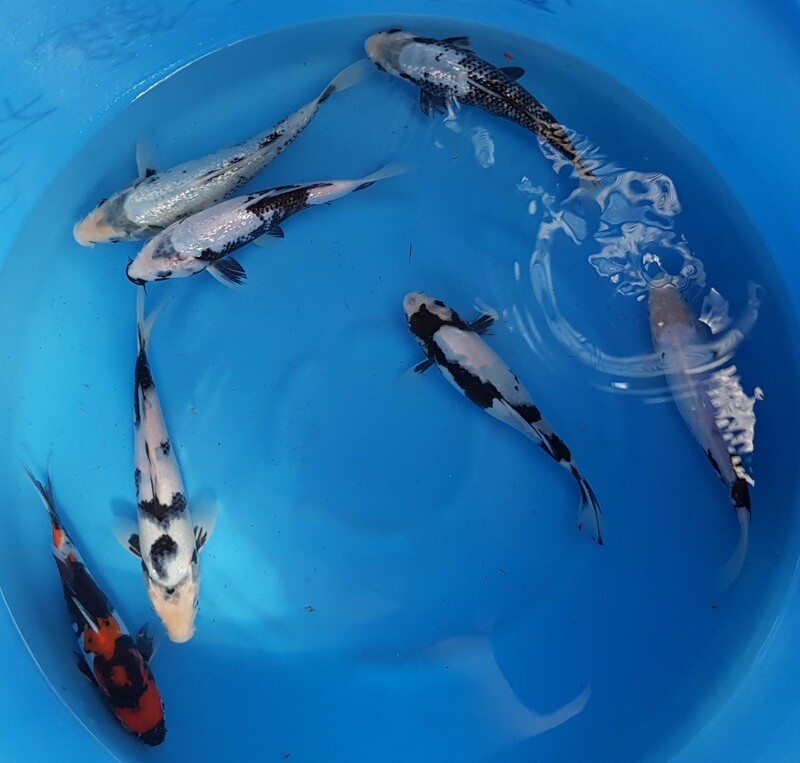 Mixed High grade baby Koi from various breeders including Kujaku, Ochibe Shigure, Gin Rin Ochibe Shigure, Asagi, Yamabuki, Kohaku, Sanke, Showa, Shusui, Goromo. Goshiki, Yamatonishiki, and more. 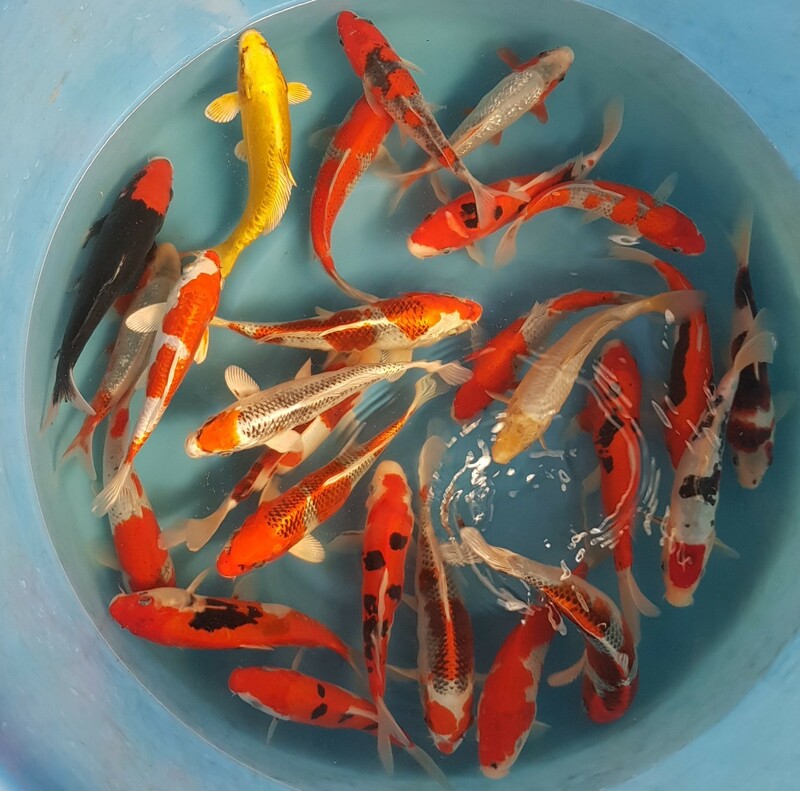 © 2016 Koi Water Garden. All rights reserved.